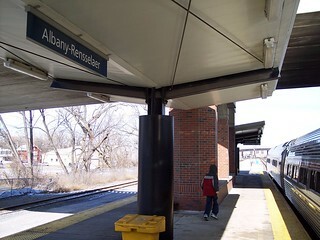 The Albany - Rensselaer station is in Rensselaer. 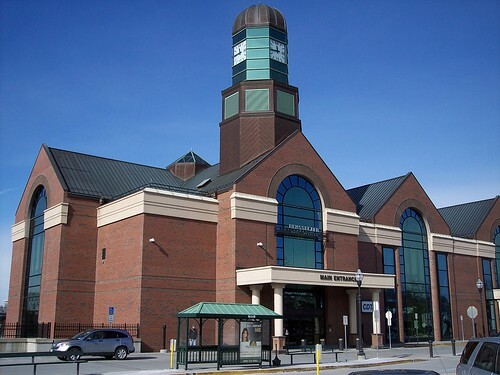 The station has a new large station building. 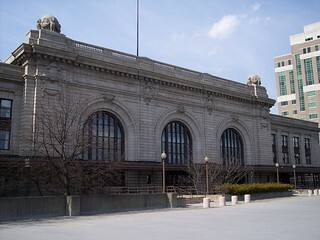 We began our Empire Service journey to New York Penn Station here, and ended our trip from Worcester on the Lake Shore Limited at this station. 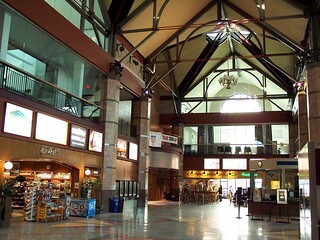 The station has a large open interior. 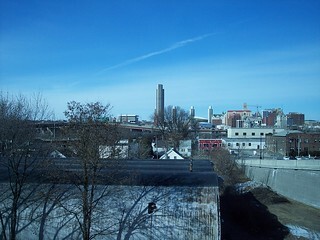 Downtown Albany can be seen from the station. Our train to New York waits at the platform. 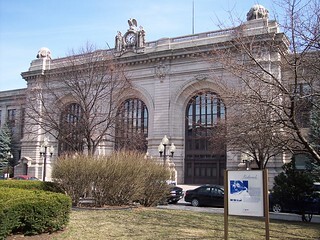 The old station building in downtown Albany still stands, but is no longer a station. 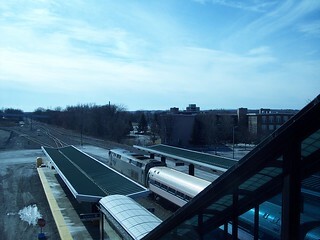 While there are still some tracks well behind the building, the area where the former platforms were located is now occupied by a parking garage.